Doris Payne sits sphinx-like in a dreary office in San Diego. The 80-year-old is listening to her lawyer discuss the possibility of a five-year prison term. Payne’s soft brown cheekbones are arched, she wears a serene stare, two gold loops droop from her ears; she conjures inarguable elegance. Being in front of a lawyer’s desk isn’t new territory for the octogenarian: she is one of the most notorious jewel thieves of all time. Her sixty-year thieving career has taken her to Italy, to Switzerland, Monte Carlo, Japan. She has stolen an estimated $2million worth of jewellery. Filmmakers Kirk Marcolina and Matthew Pond stumbled across her story in a newspaper article, when Doris was serving time in a California jail. 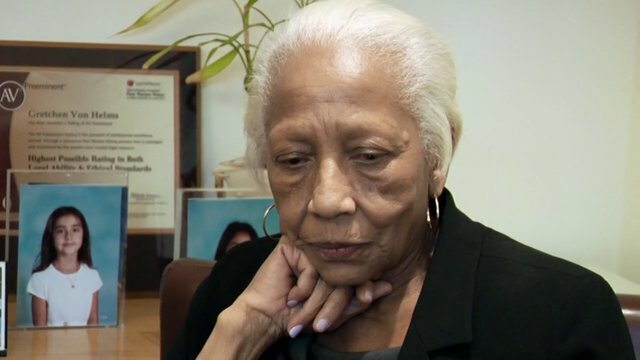 The seed of an idea was planted, and eventually became the documentary The Life and Crimes of Doris Payne. Last week the film was awarded the Audience Choice Award at the Antenna Film Festival in Sydney and has been picked up by numerous other festivals. Pond became infatuated by the idea of making a film about Doris and met with her whilst she was in an Orange County jail. Slowly, over many weeks of meeting, he coerced her – and his directorial partner in crime, Marcolina – that a film should be made. The film begins by explaining Doris’s origins in segregated West Virginia, where she lived in abject poverty and witnessed the violent relationship between her African-American father and Turkish mother. The narrative quickly spirals into her life as a professional thief; a time spent sewing diamonds into garters, tumbling out of moving trains. Doris recounts these stories to the camera frankly – as if there was nothing unusual about shaking the authorities by plunging from high-speed rail. She says she simply picked herself up, dusted off her mink coat and escaped into the night. Due to the lack of archival footage and photographs available, re-enactments help tell the chapters of her past criminal escapades. Unfolding in the contemporary realm of the film is the legal drama surrounding Doris’s latest alleged theft in a San Diego department store. Pond and Marcolina filmed her for about a year, and the entire production took about three. It was financed by the filmmakers themselves; “our credit cards are screaming,” says Marcolina. This is certainly true of Doris, who can seemingly switch from sweet, giggling grandma, to nostril-flaring she-beast, with no prior warning. Marcolina says this made their working relationship interesting: “When you’re dealing with Doris, one moment you are having an awesome time and you’re having so much fun with her, and the next moment you’ll want to pull your hair out. The plausibility of some of the stories Doris recited during interviews was something the filmmakers doubted. But, after a hefty stack of paperwork and a yearlong wait, they received Doris’s FBI file, which confirmed everything she had told them. For our previous Documentalist, click here. If you’re digging ReelGood, sign up to our mailing list for exclusive content, early reviews and chances to win big!